Welcome home! Fantastic location! Great features and upgrades! Main kitchen with lots of cabinets, large flex/dining area with ceiling fan, and living room with wood burning fireplace. Bright loft area upstairs with ceiling fan and built-in storage. The master bedroom with ceiling fan and unique open sink area, two closets, master bath. Finished basement with kitchenette, full bathroom, large laundry room, and large storage room with shelving! Enclosed courtyard, low maintenance concrete and fencing. 2-car detached garage with shelves for storage! New windows (2018) to be completed before closing. EnergyStar vinyl windows have a lifetime limited homeowners warranty! Newer roof made of durable composite shingle! Pool and sport court. Close to Southwest Plaza, Trader Joes, Whole Foods, Sprouts, REI, and much more! 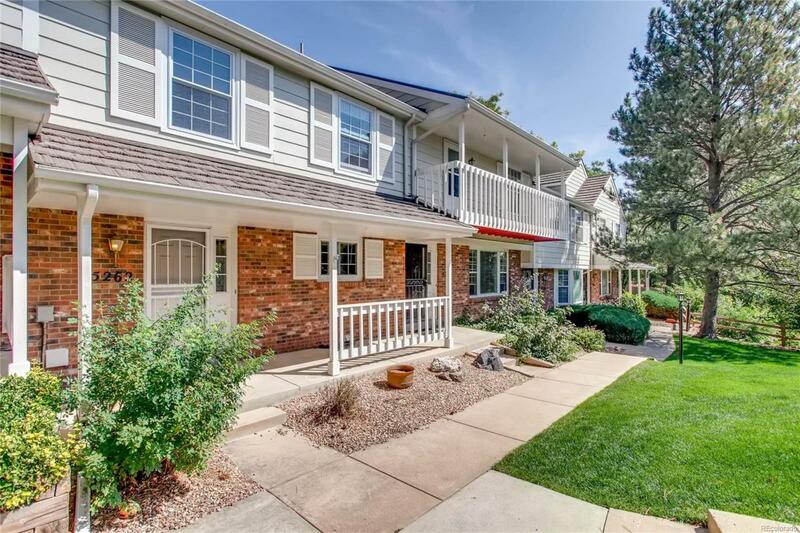 Nearby, enjoy Big Soda Lake, Red Rocks, Botanic Gardens at Chatfield Farms, or make a quick escape to the mountains! 14-month Blue Ribbon Home Warranty included!